Rovinj is another Croatian walled town built on small peninsula, surrounded by sea with its historic centre modelled like Venice. Rovinj is very popular among visitors and travellers to Croatia and is one of the top Croatian tourist destinations. Rovinj is a classic model of a town of the Mediterranean form. It was fortified by walls in two rows as early as the Middle Ages, with town gates later incorporated into a new layout. In late 18th century, the islet where Rovinj was originally built, was connected with the mainland. At that time, the rest of the town started to develop too. Rovinj is one of the most developed seaside resorts in Croatia, offering a whole range of visitor opportunities in a picturesque ambience of the ancient town, surrounded by dense pine forests. Rovinj was one of the first areas that real estate Croatia became interesting to foreign buyers after the war in the 1990’s. Buyers were in ore of the beauty and history of the town and could pick up old stone properties for a fraction of the cost of those in neighboring Italy. The most desirable areas in the old town are Borik and Valbruna. Since the 1990’s interest in Rovinj real estate has risen exponentially and prices with it. 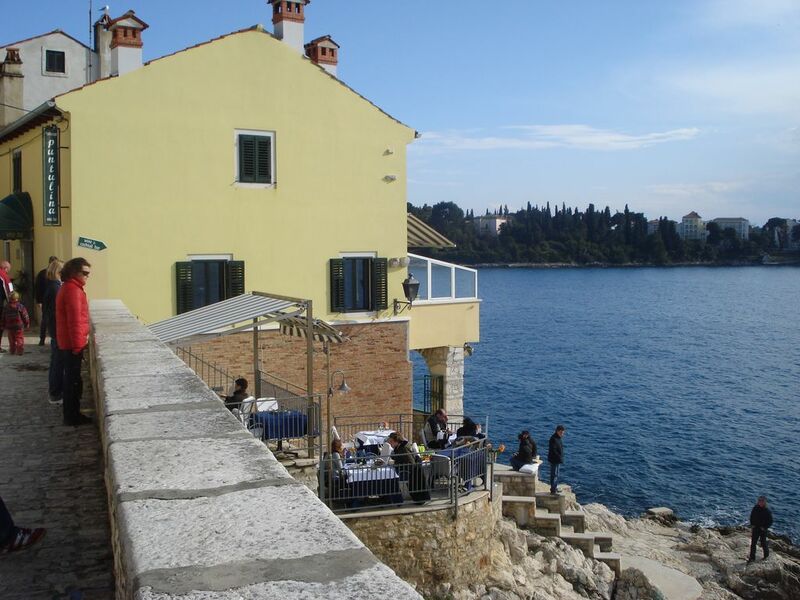 Rovinj is as expensive in parts as the core centers of the Dalmatian Towns, Split & Dubrovnik. With a limited supply of old stone properties available to purchase in Rovinj supply and demand suggests that prices will, overtime, continue to rise. It is very difficult to find anything in the old town for under 100,000 € and in most cases you will be looking to pay €150,000 upward for an old stone apartment that will need modernization at best and more likely complete renovation. Find Croatia property with FIRST property Croatia. We are an established Croatian real estate agency running since 2004. If you are looking to buy property in Croatia and would like a straightforward and reliable contact us. We have our own portfolio of properties, however we also have a strong network of property finders and third party estate agents with whom we co-operate when searching for the right properties on behalf of our clients. The agency is in Rovinj, one of the pearls on the Adriatic Coast. We have a longstanding experience in the real estate business. Besides working in Rovinj and whole of Istria, in cooperation with other real estate agencies, we stretch to other parts of the Republic of Croatia, Serbia, Montenegro, Bosnia and Herzegovina. You can come to us in full confidence; we offer assistance in the whole process of the buying-selling transaction, as well as the legal advice provided by the solicitor working closely with the Agency. Kyara was founded in 1989 and it was engaged by liberation of private market. 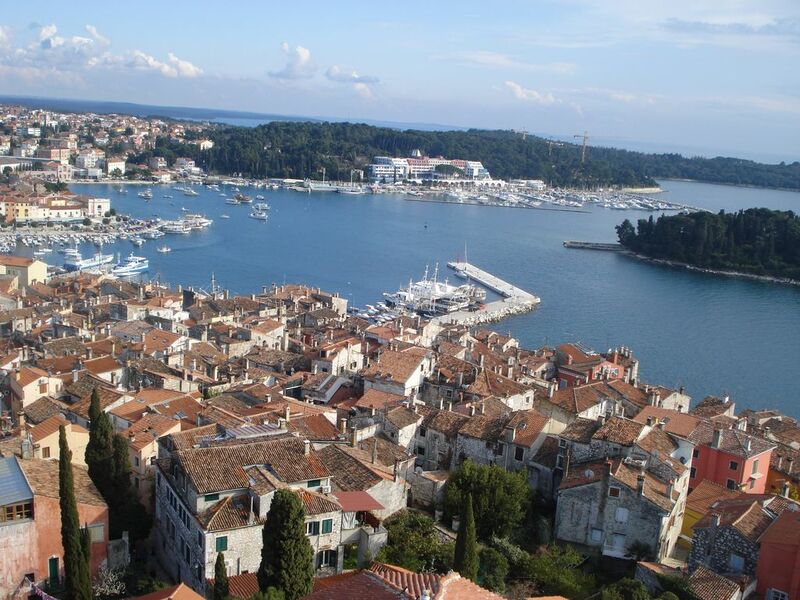 The firm strategy is to find and then to present real-estate market of city of Rovinj. Kyara was founded by two partners who even today work together. The executive function is held by Maurizio Kresina and operation logistic is Petar Rino Šuran. Professional interests of firm overpass classic intermediation in selling real-estates so we also do investment councelling in terms of real estate market. Business Company is one of the oldest agencies in the town of Rovinj, and among the first in Croatia. Agency that meets all your wishes with the purchase of houses, flats, hotels, land in Rovinj but also along the entire coast of Croatia, Montenegro, Serbia, Bosnia and Herzegovina and beyond. We have good cooperation with agencies in Hungary, England, Russia, etc. Business Company provides full service for the buyer and seller, from the first contact, property viewing, checking the status of real estate in the land registry, concluding the sales contract, tax returns, transfer of user services of electricity, gas, and registration of new owners in the land registry. Our agents provide services in English, Russian, Italian and German language. The company ETING Ltd. was founded in 2003. The professional interests of our company are: the selling of real estates in the region of Rovinj and Istria, and in cooperation with other agencies we are also dealing with real estates in other part of the Republic of Croatia and abroad. We offer a complete service for our potential buyer or seller, from the first contact, viewing of real estates, to the conclusion of the sales contract, to the registration of the new owner in the land register and the delivery of the documents proving the ownership. Together with our partners, we are dealing with all the administrative-technical issues related to the real estate: the registration of agencies, building, adaptation, equipping etc.